Yesterday we saw the Olympic Torch make it’s way through our town. It came right past our front door and the atmosphere was electric. Standing 3/4 rows deep along the pavements, everyone came out in force and cheered the torch bearers along! 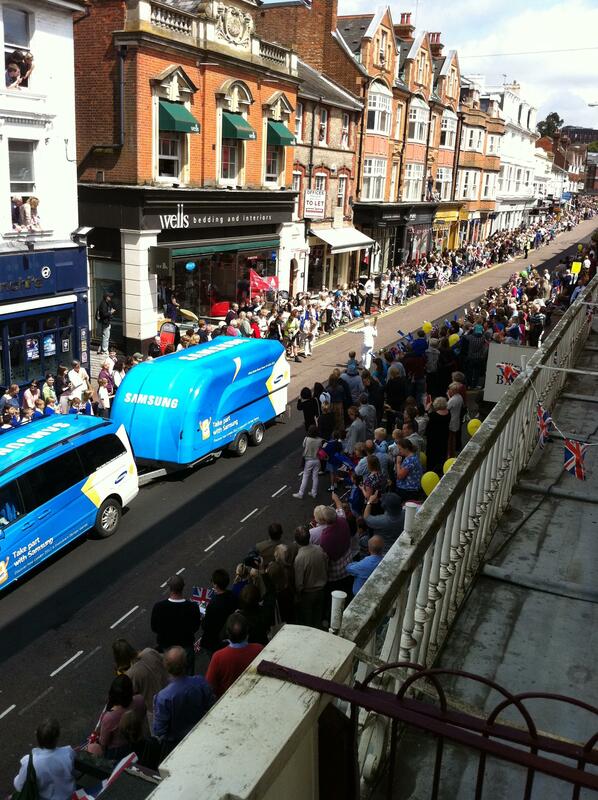 The parade was very lively and the view from our first floor balcony was great!